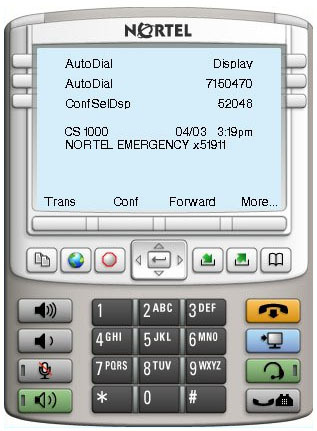 The Nortel IP Softphone 2050 transforms your PC into a full-featured platform for voice, data, and video communications. The i2050 Softphone is designed for use as a primary or supplemental desktop telephone, or a telecommuting device. Users simply load the software and plug a Nortel approved headset or handset into the USB Audio Adapter port to start communicating.